Throughout the world, the desire to produce a champion thoroughbred racehorse stimulates intense study of bloodlines, character and nutrition. Often this ambition is never achieved, sometimes achieved in part, and on rare occasions, achieved in full. STAR KING has played a notable part in affording to numbers of breeders in Australia the intense gratification of realizing their ambitions in full. This is STAR KING's complete life story and of the spread of his influence around the world. STAR KING (1946-1967) was a pony-sized Thoroughbred race horse bred in Ireland in 1946. 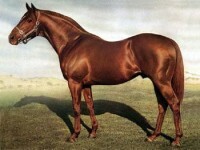 Exported to Australia he became an outstanding sire and was the most potent force in the, "Sport of Kings". Now his descendants circle the globe and his influence grows with the years. He was the leading sire for five seasons, the leading sire of two-year-olds seven times as well as heading the broodmare sires' list three times. Foaled on 30 April 1946, STAR KING was bred by Richard Ball, master of Cloghran Stud, in County Dublin, Ireland. STAR KING was a son of STARDUST and out of the unraced mare, IMPROMPTU by CONCERTO. He was inbred to SUNSTAR (who won the 2,000 Guineas Stakes and the Epsom Derby), in the fourth generation (4m x 4f). Wilfred Harvey purchased him at the Doncaster sales for 3,100 guineas. STAR KING was registered and raced in England; he was conditioned by John Waugh in his two-year-old racing season and was rated second (to ABERNANT) among English sprinters. From sixteen starts he recorded nine wins and was unplaced only four times collecting £12,352 in stakes. His wins included the York Gimcrack Stakes and the Sandown Park Produce Stakes. All of his wins, with the exception of one, were by long margins of up to ten lengths. 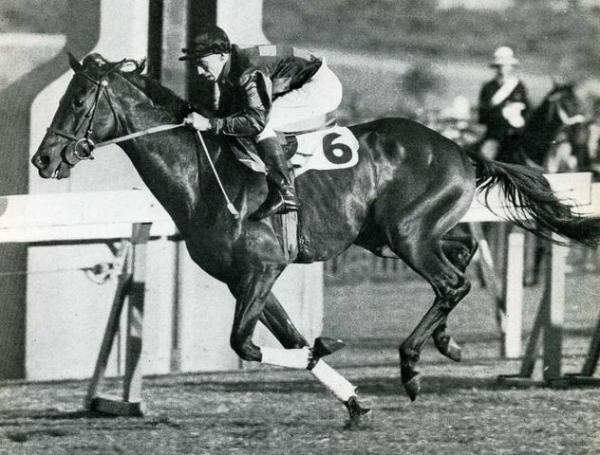 STAR KING was purchased by Stanley Wootton at a cost of £4,000 and sent to Australia in 1951. Upon arrival it was obvious that he had not travelled well and he stood only 15 hands and a ½ inch high, leaving his purchasers with serious doubts about the wisdom of their choice. As there was already a STAR KING in Australia he was re-registered as STAR KINGDOM and installed at Baramul Stud in New South Wales. 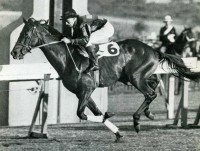 His influence was not immediately felt, but eventually he became Australia's leading sire for the first time in the 1958-59 season when his fifth crop began racing although he was the leading sire of two-year olds in his first season and the first sire whose earners were to reach the equivalent of $2 million. STAR KINGDOM was the leading sire five times, leading sire of two-year-olds seven times as well as leading the broodmare sires' list three times. One of his most extraordinary achievements was to sire the winner of the first five Golden Slipper Stakes. Primarily a speed sire his influence is still evident in the bloodlines of many Australian Thoroughbreds today. His progeny held Australian records for 4 furlongs, 5 furlongs, 5½ furlongs, 8 furlongs and 10 furlongs at various times. Amongst his offspring were 52 stakeswinners, including the outstanding horses BISCAY, CITIUS, CONCERT STAR, TODMAN, FINE AND DANDY, NOHOLME, REVEILLE, TIME AND TIDE, SKY HIGH, SKYLINE, KING STAR, KINGSTER, STAR AFFFAIR, PLANET KINGDOM, KAORU STAR (sire of LUSKIN STAR, a Triple Crown winner), MIGHTY KINGDOM, GOLD STAKES, MAGIC NIGHT, STARLIT, CYMBAL, COURTEOUS, SUNSET HUE (sire of GUNSYND) and RITMAR. The top racehorse SKY HIGH was his most prolific winner, recording 29 wins. STAR KINGDOM was also a noted broodmare sire with the likes of his daughter DARK JEWEL producing BAGUETTE, a Golden Slipper Stakes winner who was unbeaten in his two-year old season and future sire of note. Standing at Barramul Stud for 16 successive seasons (1951-1966) STAR KINGDOM died from an attack of colitis at the age of 21, on April 21, 1967. He died with his head resting in the arms of his long-time groom, Noel Hennessy. A headstone at Baramul Stud commemorates him and his son, TODMAN. In 1978, more that 11 years after STAR KINGDOM's death, he had at least 42 sons standing at stud in Australia and New Zealand, including the very successful KAORU STAR. At the same time he also had over 100 grandsons standing at stud. This 1988 cinematic gem of a production includes unique footage never before seen and is a must for any horse racing fan. FRANKEL 11 ENTIRE RACE BROADCASTS Plus BONUS: "FRANKEL: From START to FINISH"
AMERICAN PHAROAH's 2015 BREEDERS' CUP CLASSIC: TVG's "INSTANT CLASSIC"
ASHFORD/COOLMORE STUD 1998 STALLION PROMOTION: SPINNING WORLD, etc. BLACK CAVIAR's 2013 Comeback - 23rd and 24th STRAIGHT VICTORY!! BLACK CAVIAR's 2012 DIAMOND JUBILEE Win (Two Different Entire Broadcasts of 6/23/12) - 22nd STRAIGHT VICTORY!! THOROUGHBRED GREATS - Home Movie Films of RETIRED LEGENDARY HORSES (SECRETARIAT, SEATTLE SLEW, etc.) - RARE!! ZENYATTA's 2009 BREEDERS' CUP CLASSIC: TVG's "INSTANT CLASSIC"
TIZNOW WINS IT FOR AMERICA! RAPID REDUX Extends WINNING STREAK With 17th VICTORY! ZENYATTA's 2009 CLEMENTE L. HIRSCH STAKES (12th Straight Win): TVG's "INSTANT CLASSIC"
TVG's LEGENDS: LAFFIT PINCAY, JR.
ZENYATTA's 2010 VANITY HP (Entire Televised Broadcast) - 17th STRAIGHT VICTORY - NEW MODERN DAY RECORD! RACHEL ALEXANDRA and RACHEL: The Bond Between Two Special "RACHELS"
2008 FLAT RACING REVIEW (EUROPEAN) - RACING U.K.
2009 BREEDERS' CUP: TVG's "THE WORKS" AND HRTV's "PURSUIT OF THE CUP"
JOHN FRANCOME's, "LEGENDS of HORSE RACING"
2003 BREEDERS' CUP: TVG's "THE WORKS"
2005 BREEDERS' CUP: TVG's "THE WORKS"
2007 BREEDERS' CUP: TVG's "THE WORKS"
2007 KENTUCKY DERBY: HRTV's "TARGET LOUISVILLE"
2006 KENTUCKY DERBY: TVG's "THE WORKS"
2005 KENTUCKY DERBY: TVG's "THE WORKS"
THUNDER AND REINS: WHAT DOES IT TAKE TO BE A KENTUCKY DERBY WINNING JOCKEY? ©2019 HorseRacingDVD.com. All Rights Reserved.